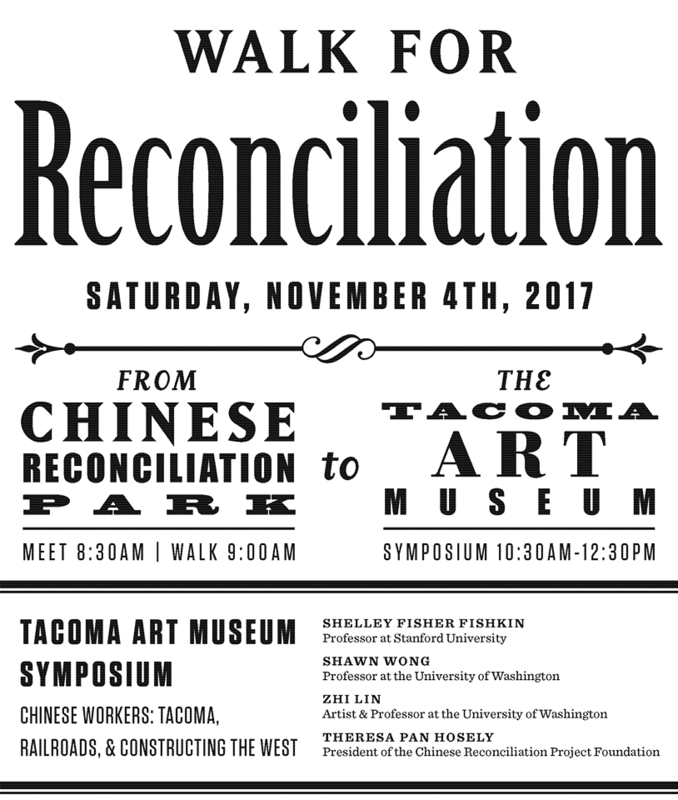 Optional: Join us before this program (8:30 am) for the Walk for Reconciliation from the Chinese Reconciliation Park to TAM. In Zhi LIN: In Search of the Lost History of Chinese Migrants and the Transcontinental Railroads, internationally acclaimed Northwest artist Zhi LIN has refocused attention on the overlooked yet vital history of the Chinese laborers of the 19th century. 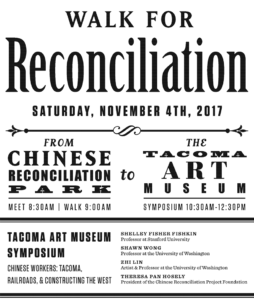 At the symposium, hear from scholars and community leaders as they present about the contributions of the Chinese to the railroads, anti-Chinese legislation and legacy, the expulsion, and the work of the Chinese Reconciliation Project Foundation. Presented in partnership with the Chinese Reconciliation Project Foundation. Zhi LIN, Chinese Reconciliation Park (detail), 2017. Chinese ink on paper, 8¾ × 12 inches. Courtesy of the artist and Koplin Del Rio Gallery, Seattle.